Sanari I. 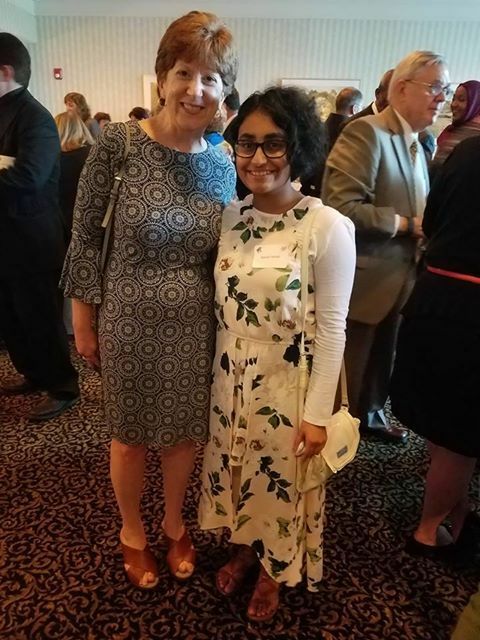 ’22 was recently honored with the Ed Block Interfaith Youth Award by the Capital Area Council of Churches’ annual celebration, making her the youngest person to receive the award in its history. In his life, Ed Block was a tireless advocate for the impoverished, workers, equal rights, and veterans through hard work, protest, and prayer. After his passing in 2014, the Council of Churches established the annual Interfaith Youth Award to honor his memory and recognize young people who exemplify the principles of interfaith commitment he embodied. Sanari was recognized for her efforts to unite students from different faiths and advocate for gun control. As an eighth grader she met with her school administrators to organize a protest for gun control on March 14, 2018. While she faced roadblocks, her perseverance won out and Sanari said it was incredibly moving to see the nearly 500 students standing in solidarity around such an important issue. 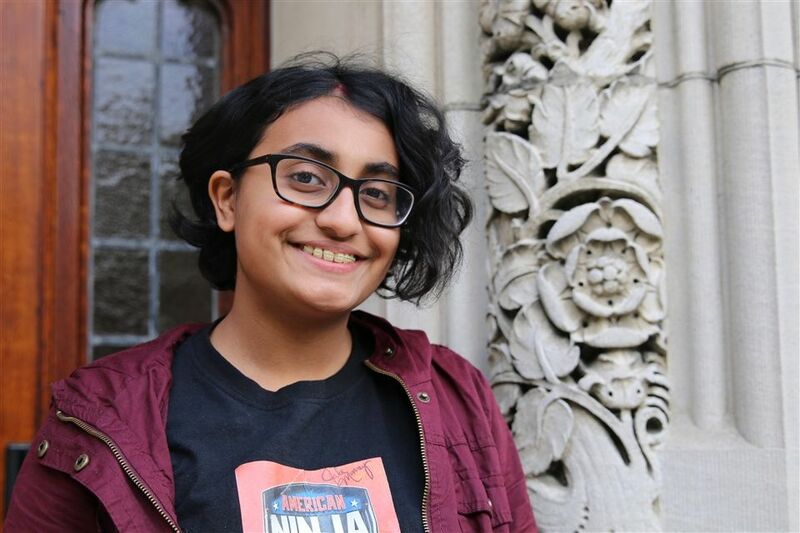 She continued to push, ultimately getting approval to participate in a large-scale, student-led protest with schools from across the Capital Region, including Emma Willard School, in Albany on April 20. Her advocacy did not go unnoticed and earned her the nomination for the Ed Block award. “It was surprising because there are many people in this community doing amazing things,” said Sanari. She was officially honored at the Capital Area Council on Churches at its 77th Anniversary Awards Celebration held on October 10. Among the event's attendees were Albany Mayor Kathy Sheehan and State Assemblyperson Patricia Fahy. Sanari says it was an honor to be selected, and that she plans to continue her political advocacy on issues that impact others.